The number of Chinese students enrolled at Bondholder University of Derby onto full-time degree programmes has more than doubled since last year. This is the largest intake from China since 2012. The most popular subject areas for Chinese students being international business, accounting and finance, business and management. Commenting on their time at the University we spoke to a current student and a recent graduate. 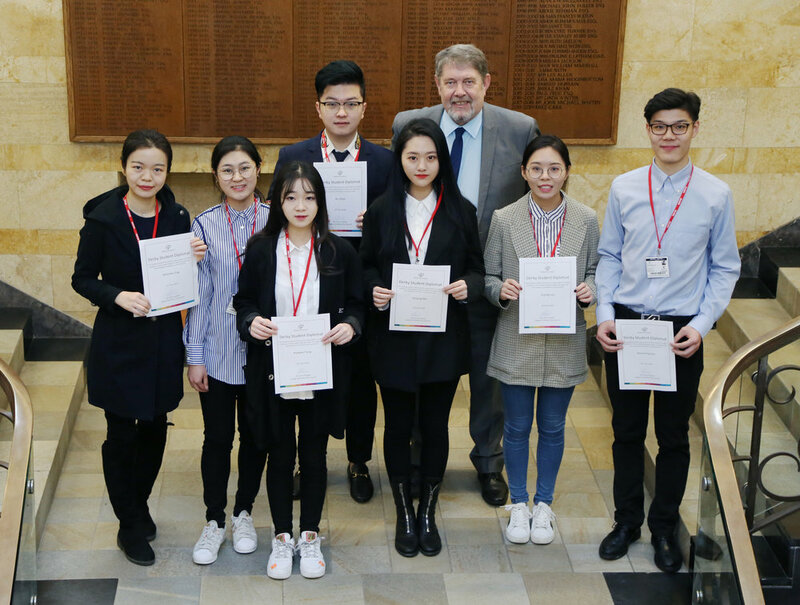 Five University of Derby students have also been selected as volunteers to offer help the City Council in creating content for Chinese social media and support with translating documents. Huiying Ma, one of the student volunteers said that meeting with Councillor Chris Poulter was a huge inspiration to her and other volunteers and that they would like to act as a cultural bridge between Derby and China. Derby has a twinning partnership with Hefei city in China and Derby City Council have a number of major links to help local businesses to develop economically and internationalise, led by the newly appointed director Mr Shiller Zheng, with education being one area of focus.